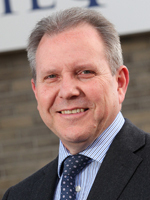 Brian Mercer is the Director, Project Management at Theon Ltd, where he has responsibility for directing and managing the delivery of project management, asset integrity, safety and risk businesses. He has a diverse background with over 28 years of experience covering Oil & Gas, Aeronautical Engineering, Project Management, Operations and Maintenance Management and Asset Integrity and Programme Management. He has directed and managed organisations up to 1800 personnel covering: Brownfield Modifications: Asset Integrity; Oil and Gas engineering consultancies; aircraft engineering, maintenance, operations and projects; engineering training. He also has a strong commercial background and is fully accountable for business and project delivery, quality, and P&L. Brian is also a non-executive Director on the Board of the Industry Technology Facilitator, a not for profit company established to facilitate joint industry projects to develop technological solutions to meet the industries challenges. He has also been seconded into a major operating company as the Maintenance, Reliability and integrity Manager. He has a bachelor’s degree from Heriot-Watt, has a master’s degree from King’s College London and is a chartered engineer.